There is an annual religious festival in Spain named El Colacho that involves lining up newborn babies in the street and jumping over them. 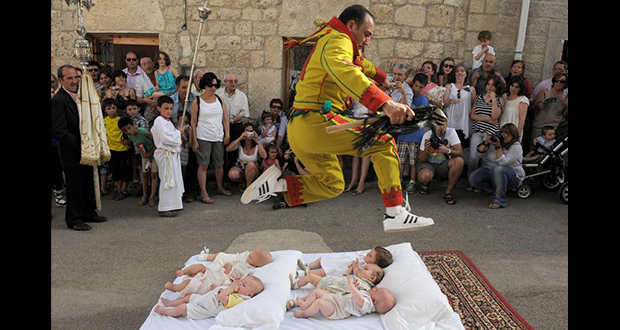 The residents of Castrillo de Murcia line up their babies in the street so that men dressed as the devil can jump over them to rid them of evil. During the Paantu Festival in Miyako-Jima, Japan, men dress up as Paantu (evil spirits covered with mud and foliage) and are given the task of driving out demons and cleansing the island of bad luck. To do this, they smear everything and everybody they come across with mud. There is a man from Norway who died in 1989 whose body is now kept on ice in a shed in Colorado by his Grandson. 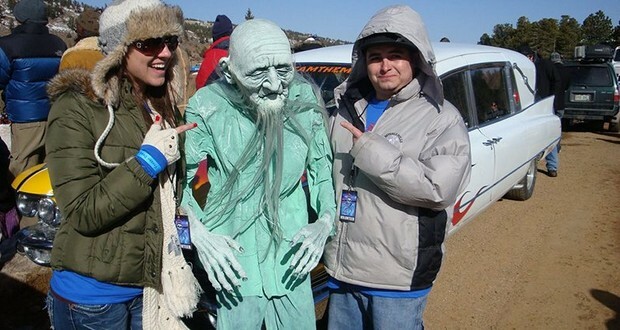 The town now has a festival every year called "Frozen Dead Guy Days". The annual Nakizumo Festival is held in Japan where sumo wrestlers compete to see who can make a baby bawl first. Fiesta de Santa Marta de Ribarteme which is also known as the Near Death Festival is held annually in the town of Las Nieves, Spain. 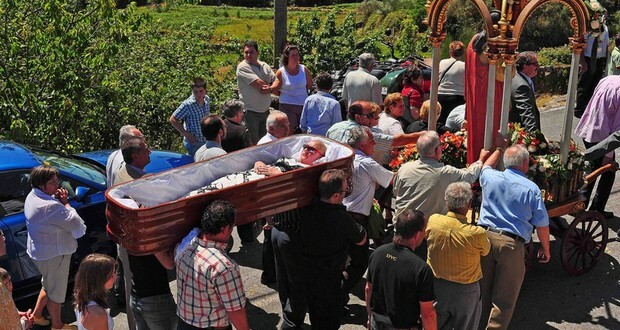 A bunch of people who are not yet dead are carried in coffins. They are inside the coffin because they had a near-death experience in the past 12 months and are now showing their gratitude. Las Bolas de Fuego is a festival which is held every year in the town of Nejapa, El Salvador. Participants throw flaming gasoline soaked balls of cloth at each other. The festival commemorates the volcanic eruption of 1922 and has resulted in shockingly few injuries. 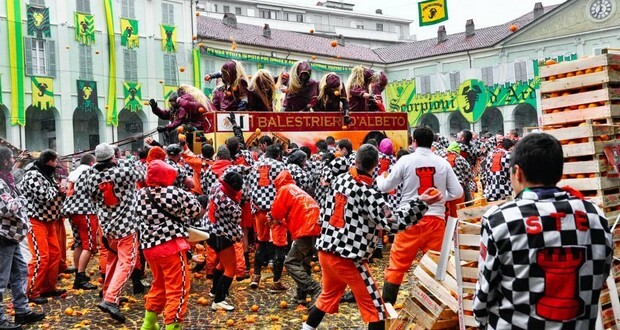 Every year in the month of February, the people of Ivrea in Italy celebrate Battle of Oranges. It involves some thousands of townspeople, divided into nine combat teams, who throw oranges at each other with considerable violence during the traditional carnival days of Sunday, Monday and Tuesday. During the annual Aztec festival of Xipe Totec, human captives used to have their hearts cut out, following which they were completely skinned. Priests then wore their skins for a period of 20 days. 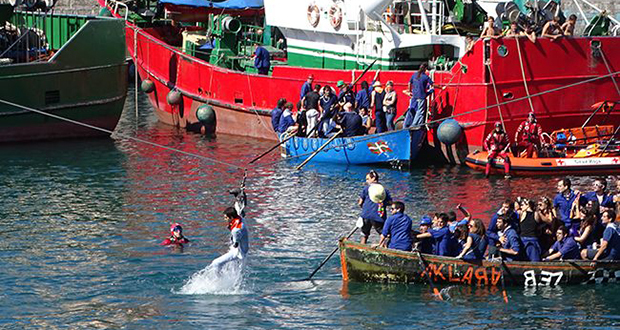 There is a festival in Spain called Day of the Geese in which a greased goose is hung above the water and young men jump off a boat trying to rip off the goose head barehanded. The one who outmatches other males will win a young female adoration and he could bring the headless goose back home. During the Makahiki festival in Hawaii, the chief would go offshore in a canoe. When he came back warriors threw spears at him and he had to deflect them to prove his worthiness to rule.